TV and radio presenters joining team of authors and key academics in events to Remember 1916. Paths To Freedom, the history roadshow from Pegasus Consulting, starts a major 2016 tour this month. TV and radio presenters Myles Dungan, Joe Duffy, Turtle Bunbury and Catriona Crowe will join a team of authors and key academics to offer Ireland’s libraries, exhibitions and festivals a unique package of lectures, presentations and entertainment events to remember the 1916 Rising, 100 years on. Paths To Freedom is a special two-part commemoration, comprising… A day-long programme of talks and presentations on 1916 and its legacy, an evening performance of the songs and music of the era, showcasing the songs of John, Count McCormack. The roadshow will open with two events in Sligo this month, then move on to Dublin, Athlone, Roscommon, Cavan and Leitrim. Further events will be announced soon. Tubbercurry Community Library : Oliver Fallon, Ian Kenneally, Turtle Bunbury. 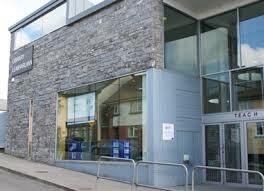 Sligo Central Library: Myles Dungan, Maurice O’Keeffe. EVENING SHOW. In 2016, Pegasus will also tour a complementary musical show – The Count, The Countess & The Tommy – featuring songs and stories from the era of the Rising, centering on the music of the celebrated Irish tenor Count John McCormack. This show is written by Myles Dungan and will feature headline acts, including… Simon Morgan: A world-renowned baritone, Simon has performed in venues across Ireland, the UK, Argentina, Chile, Barbados, San Diego, Chicago, New York, Monaco, Florence and Verona. Lisa Lambe: A singer and actress, Lisa is best known for her work at the Abbey and the Gate, and as a member of international singing sensation Celtic Woman. Brendan MacQuaile: Brendan is a classically trained baritone who performs widely in Ireland and internationally, and features regularly on TV and radio. The show is scheduled for the Civic Theatre, Tallaght in Autumn, 2016, and will also visit King House, Boyle, in May, Cavan Town Hall in August and The Dock, Carrick-on-Shannon, in September. 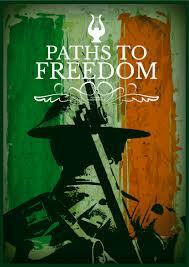 Decade of Commemoration, Trinity College Dublin The Paths To Freedom programme is produced by Pegasus Consulting, the company behind the hugely successful history projects The Fighting Irish (2010) and The Great War Roadshow (2014-15).